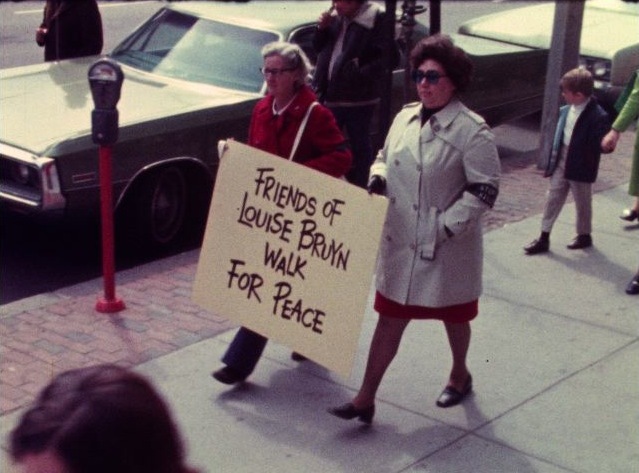 Description: Anti-Vietnam War demonstration on the Boston Common. Theatrical and musical performances. Polish Freedom Fighter tries to disrupt demonstration, and is carted off by the police. Two men give speeches on the dangers of the Vietnam War and the need to address the privilege of white middle class America. Description: Rosemarie Van Camp interviews a young man about the crowd of Students for a Democratic Society members who took over the president of a college's office. Two young men playing trumpet and saxophone. 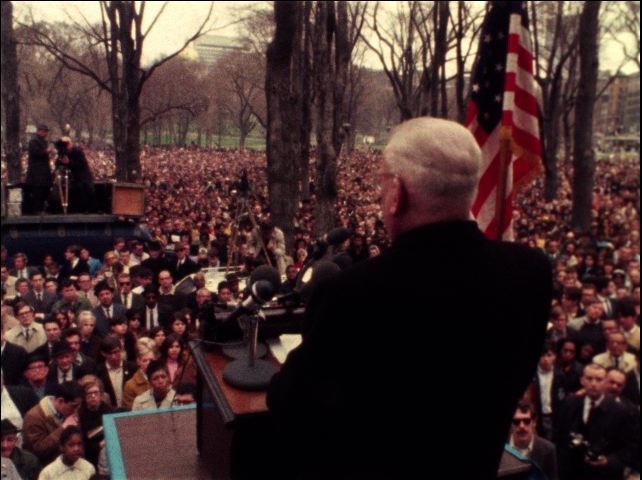 Speakers address a crowd near the Boston Common at an anti-Vietnam War demonstration. Speakers include Paul Parks, Father McMannis, and Kevin White, condemning the war. Mayor White also addresses the recent Kent State shooting and violence on other college campuses. Silent footage of the Northeastern University Law National Law Enforcement Seminar. 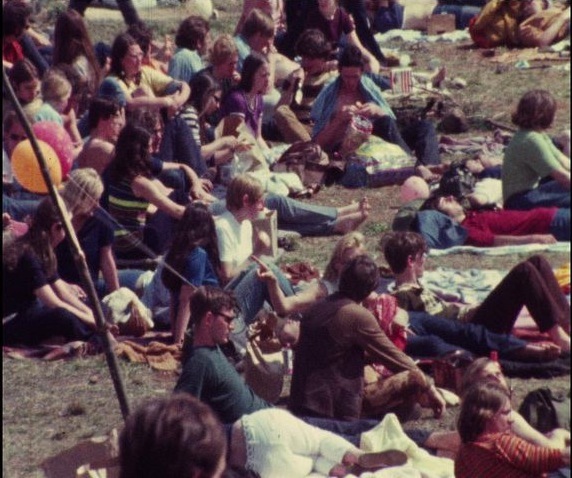 Sound footage of hippies and other people lying about on a grass lawn listening to a musical performance. 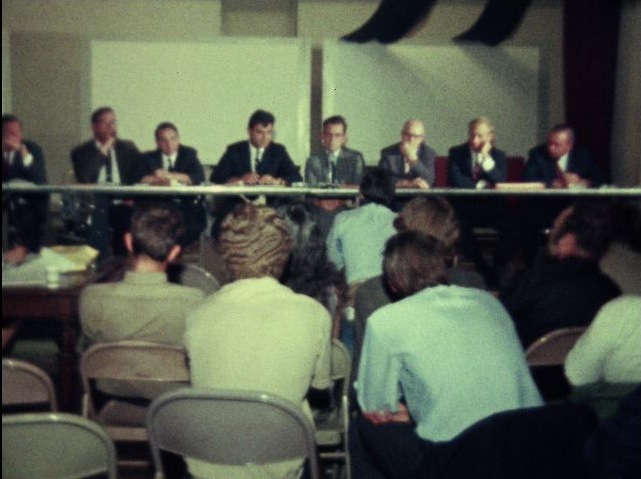 Description: A hearing with a panel of men ask another man questions about drug use, specifically speed, heroin, and LSD in the hippie movement. They ask another man questions about his personal drug use and dealing. He calls marijuana a harmless drug. They ask questions about drug trafficking in the hippie movement on the Boston Common. The man tells a story about young suburban kids coming to aggravate the hippies living on the Common, and start fights. Description: Compilation of stories on the hippie movement in Boston. 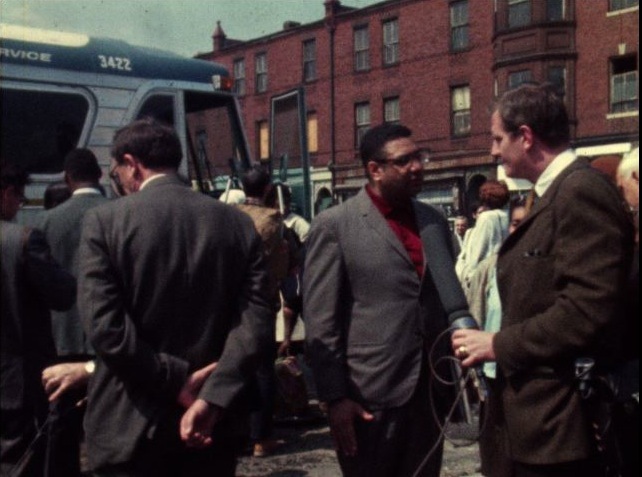 06/21/1968 air piece by John Henning describing the surge of the hippie movement in Boston and the psychologist, Dr. Stanley Klein, appointed by Mayor White to study the problems arising between hippies and other members of the Boston community. 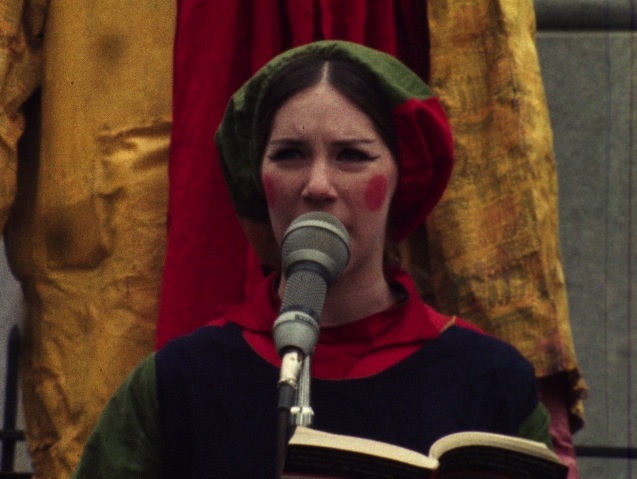 B-roll following story includes footage of Klein meeting with groups of hippies and others. Interview with Klein about the progress made in the meetings. Another man also comments. Cutaways of John Henning for edited piece. Outtakes of reporter standup. 06/23/1968 interview with Mr. Griswold on an unauthorized rock concert held by hippies on the Boston Common. Shots of groups of hippies on the Boston Common. Boston Common sign. Hippies cleaning up the common. 06/25/1968 interview with barber on the problems the hippie movement has caused for his business. 06/26/1968 Andy MacMillan interviews Judge Elijah Adlow on the hippie movement. 06/27/1968 footage of Boston City Council hearings on hippies. Barney Frank, in his capacity as Mayor White's administrative aide, reads a statement from Kevin White to the City Council. City Councilor Christopher Iannella addresses the City Council on the dangers of the hippies taking over the Common. Hippies watch the hearing from the balcony. Governor John Volpe makes a press statement on hippies. 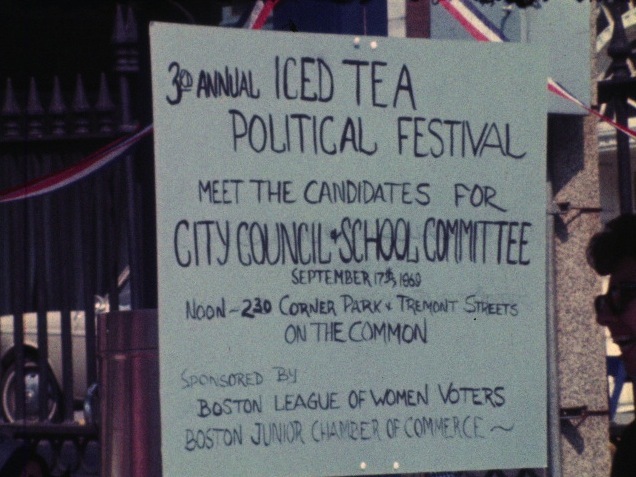 Description: 3rd annual Iced Tea Political Festival, a chance to meet the candidates for Boston City Council and Boston School Committee. Band performing. Campaign workers handing out informational packets. Reporter standup.